Carmarthen is the county town of Carmarthenshire, located some 27 miles north-west of Swansea and 60 miles west of Cardiff. Benefitting from a £74 million development in 2010, Carmarthen was ranked last year as one of the top retail centres in Wales. The town is served by the A40 and A48, which connect with the M4 Motorway to the east. 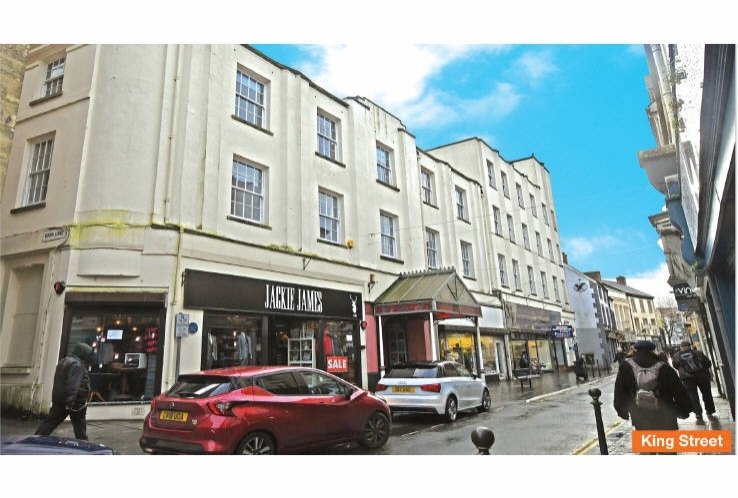 The property is situated within the town centre, with frontage onto both King Street and Queen Street. The Lyric Theatre, a 600 seat performing arts centre, is accessed from King Street between Units 9A and 9B. Other nearby occupiers include Co-operative Food, NatWest, B&M and JD Wetherspoon. The building comprises accommodation on basement, ground and three upper floors to provide five retail units, a nightclub and five offices suites. The upper floors provide future development potential (subject to consent) with sufficient accommodation for twenty 700 sq ft flats. Indicative plans can be found in the legal pack. (1) The tenant is not currently trading from the unit and has requested a surrender of their lease which has been refused by the Seller. Please refer to the legal pack. (2) The 2018 rent review is outstanding. (3) Unit 7A is currently let to Better Gentleman Ltd, however the tenant is not in occupation or paying rent. (4) First opened in 2009, Morgan Edward Hairdressers now operates from two salons in West Wales (Source: morganedward.co.uk 08/11/2018). The tenant of 7B King Street did NOT exercise their option to determine in August 2018. 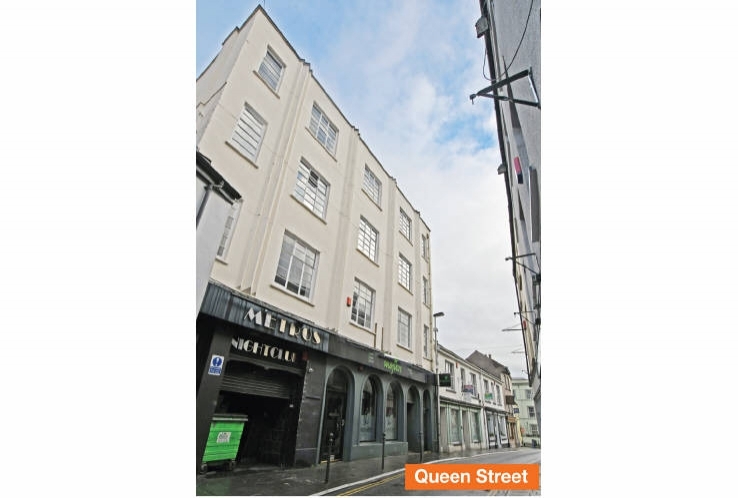 (5) The lease of 7B King Street provides an option to determine upon 6 months’ notice. (6) The British Red Cross is a registered charity that helps millions of people in the UK and around the world (Source: www.redcross.org.uk 08/11/2018). (7) Jackie James offers stylish menswear and unique wedding outfits (Source: www.jackiejames.wales 08/112018). The tenant of 9B King Street did NOT exercise their option to determine in September 2018. (8) Please note that the tenant has served notice to break the lease on 30th April 2019. (9) As to 14 Queen Street, The Money Recovery Centre has a tenancy at will but has served notice to vacate on 24th March 2019. (10) Bartley Oakmont Ltd works as an introducer to provide customers with reviews of their current life or home insurance policies (Source: bartleyoakmont.co.uk 08/11/2018). (11) Source: Harper Dennis Hobbs Vitality Index 2017.